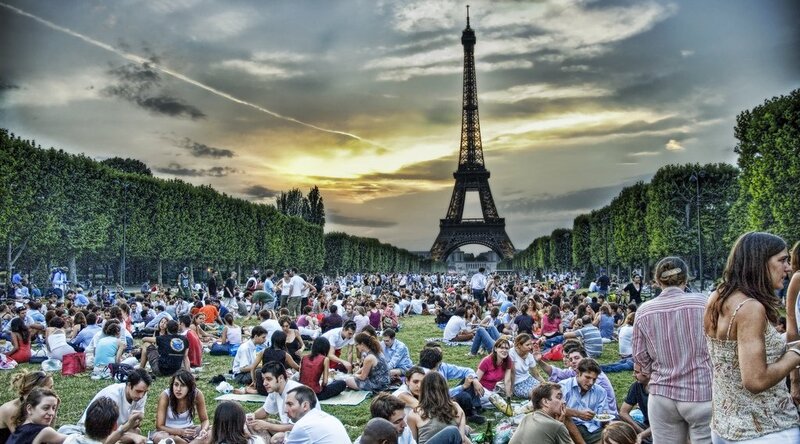 The French government has passed a law that could revolutionize barbecues, picnics, and birthdays. Starting in 2020, most plastic cups, plates and cutlery will be totally banned. Introduced at the end of August (just as opportunities for al fresco dining began to fade away), the new policy outlaws disposable utensils in an attempt to build a more sustainable economy. The only exception will be for disposable items made from biodegradable substances. Every year, 4.73 billion plastic cups are thrown away in France. Only 1% of these are recycled. The bold ban aims to drastically cut levels of plastic waste, and drive innovation in biodegradable products. The only disposable products that will survive the ban will be those that are made from at least 50% biodegradable material. By 2025, this threshold will rise to 60%. Pack2Go – described somewhat opaquely as a “European convenience foood packaging association” has spoken out against the decision, claiming it violates European law on the free movement of goods. The introduction of the law was delayed due to concerns that it would jeopardise poorer families, who may be more reliant on disposable utensils. Still, if humans continue to dispose of plastic at the same rate, by 2050 there will more plastic in our oceans than fish, as 8 million tonnes of plastic end up in the ocean every year. Strong, decisive action is necessary to reverse this alarming trend. Nine months on from hosting the historic COP21 summit, France is keen to play a pioneering role in building a more sustainable future. Judging by the nation's latest move, it appears they are stepping up to the (biodegradable, of course) plate.